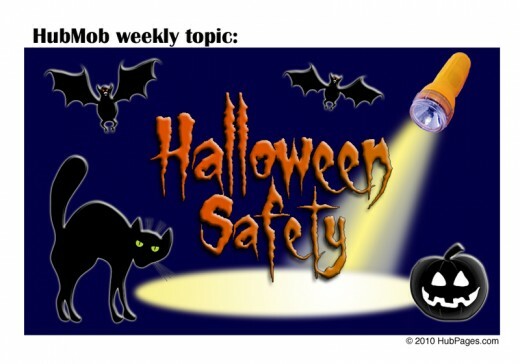 Halloween can be a lot of fun, and it can also be dangerous for little children if they are not supervised by parents. 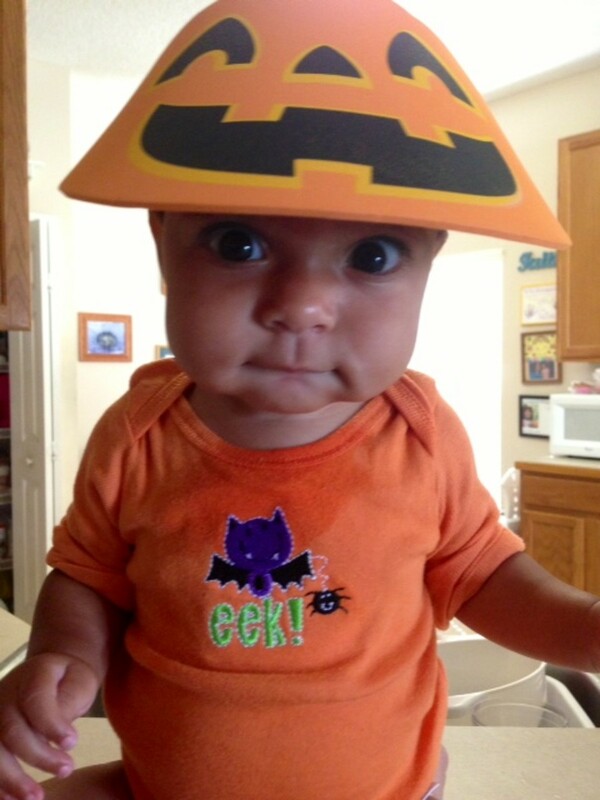 Not every person out there have kind intentions towards the cute little goblins. 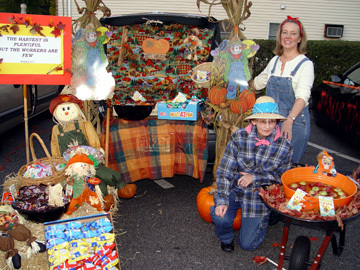 Our church started Trunk or Treating a few years ago. It takes much of the worry out of the holiday but leaves all the fun. My grandchildren all dressed alike - aren't they so cute! Fortunately in our neighborhood, the parents have joined forces to make Halloween trick or treating a safe and fun experience. All the neighbors in invited to bring their cars to the church parking lot. They park with their trunks facing the main area and open the car trunks. 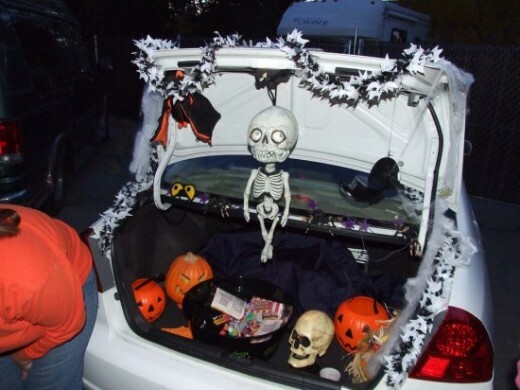 Many people go all out decorating their trunks, and the treats are usually placed in the trunk. Sometimes the parents stand there and hand out the treats, and some just leave the candy or treats there for the children to take (if they dare!). Treats do not just have to be just candy, but some give out ice cream or baked treats, and the children eat it as they go to the next vehicle. 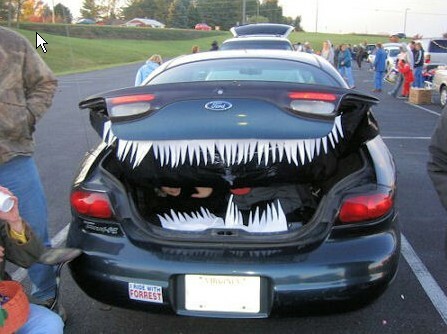 Some have Halloween music or noises coming out of their trunk. 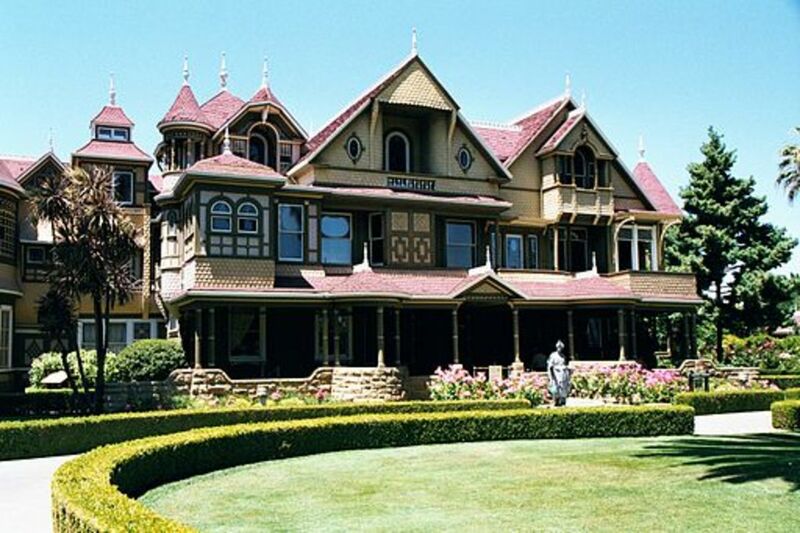 They decorate with pumpkins, spiders, and black cats. 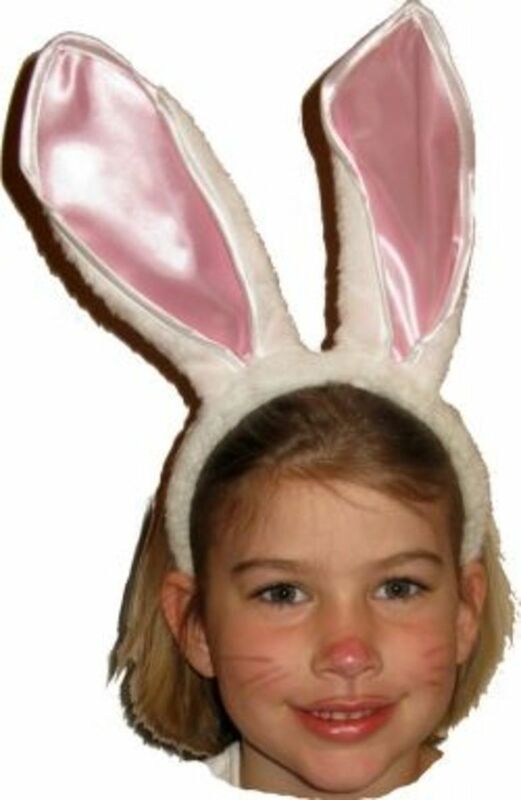 Most of the parents even dress up, which makes it tons of fun for every one. 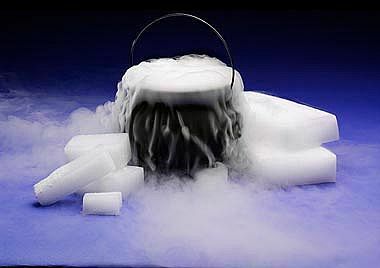 Dry Ice added to warm water in a stainless steel caldron can make a great spooky fog machine. I have seen some very creative and impressive trunks. 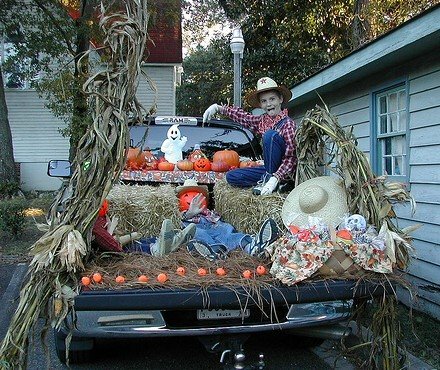 Some people even decorate the actual car or truck itself. Another thing we have been involved with involves our little town of Laie. There is one street that gets visited the most for trick or treating, so the neighbors joined in to make it a safer place. They block off both ends of the main street for Halloween evening with saw horses, and actually have involved the police with official traffic signs to make sure no one drives down the street. The children go up and down the street in wagons or walking with their parents. This is perfect for smaller children that can't walk a long distance. 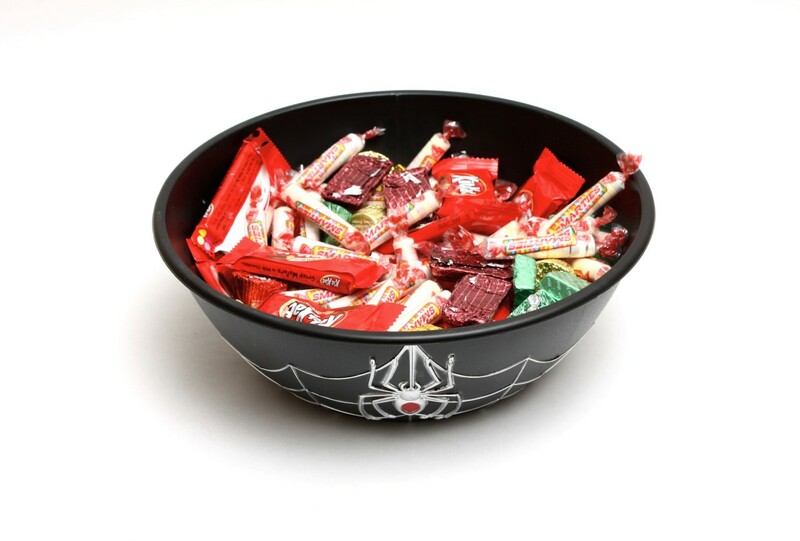 There are enough homes on the street that it is quite enough treats for one Halloween night (they always get so much). 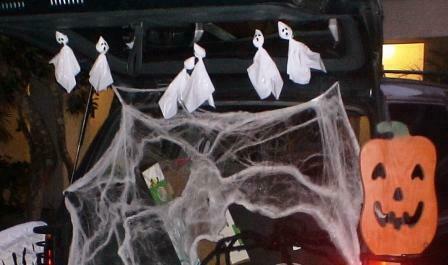 There was a spook alley inside the cultural hall at the chapel, so after trunk or treating, the children could go inside. It was a very fun and safe evening for the children. 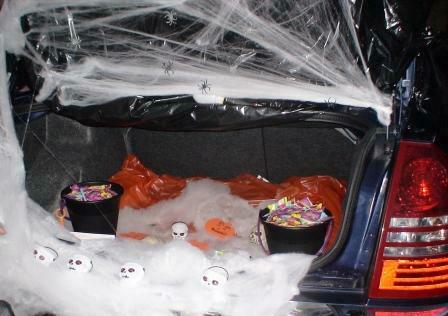 Have you gone Trunk or Treating for Halloween? Glad that you liked it b. Malin. 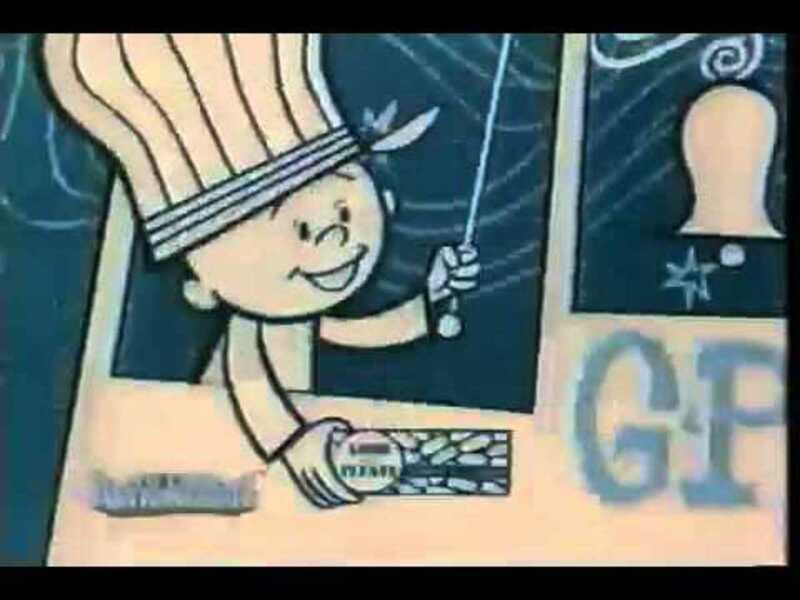 I was in Jersey once and NYC. It was a great experience. Hope you enjoyed Halloween. "Aloha" from South Jersey...I enjoyed reading this piece...very informative. We only give out store wrapped pieces of candy. The Kids come around mostly with their parents. It's a fun time for all! I look forward to following you on Hub Pages. That's great Cari - hope it turns out well for you. Actually it does snow in Hawaii, but only on top of the highest mountain. It is usually still hot so you suffer in your costumes. It is nice when it is a bit cooler. Thanks ediggity. Glad you liked it. Happy Halloween to you, too. The trunk thing is a pretty cool idea. Happy Halloween. We're going to be trunk or treating for the first time this year at our church. Hopefully the weather will hold up and there won't be any snow. I'm sure you don't have to worry about that in Hawaii! You are right about that pmccray - how can we educate them about that. Maybe just leave a note that you are not home - but then they might do something bad to your house. Wonderful idea, which is practiced all over Utah. 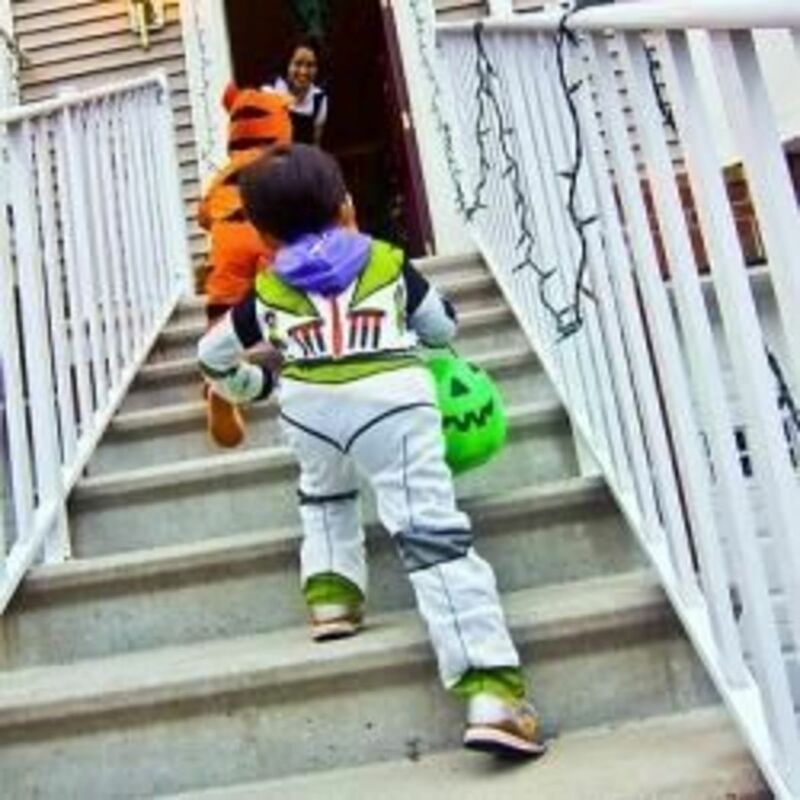 I usually held a party for my son and his friends for Halloween, both alternatives are so much better than taking a chance with hand outs from strangers nowadays. 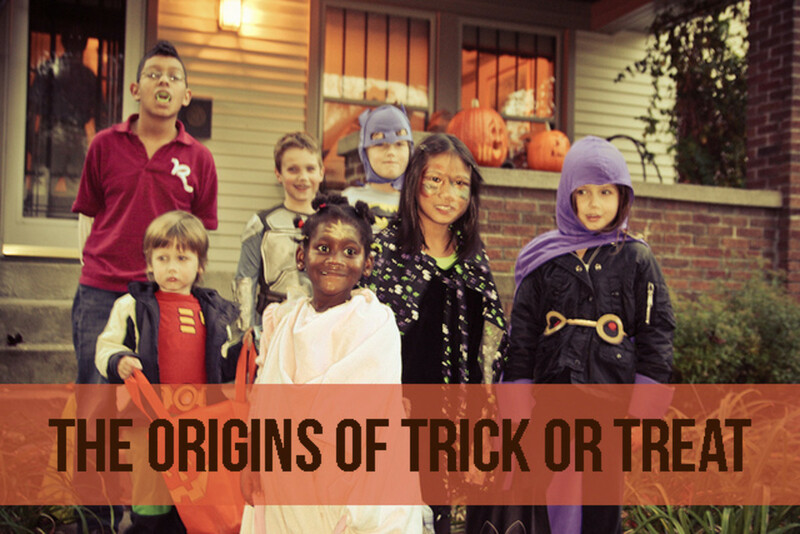 One thing though it seems that the unspoken rules of trick or treat have not been passed on from one generation to another. Too many disturb those non-participants by not abiding by light on light out rule. Every year I must post a sign for people not to disturb because they don't abide by the light rule (if porch light is on ring the bell if not pass on to the next home). Excellent hub, voted up, marked useful and shared. Sorry dallas93444 - I just saw your comment. I appreciate your comments. Glad you enjoyed it Hello, hello. 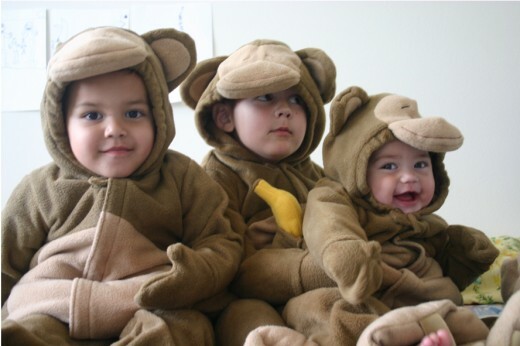 They are adorable - even if they are monkeys! Thank you for showing these absolutely adorable grandchildren of yours. Great idea and great hub. Glad you liked it LianaK. I agree that it is efficient and safe. I love trunk or treating :). 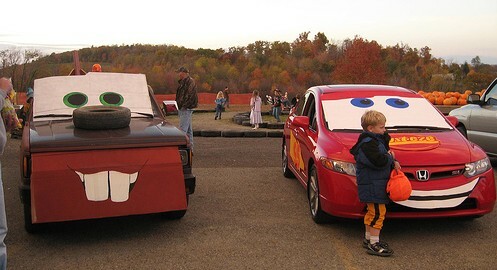 Most efficient use of time and energy, lol--and it is always so fun to see the creative ways the cars are decked out. Thanks for a great hub. Great ideas. Thanks for sharing. Up! Thank you Patty - glad you think so. I appreciate that. This is a good idea. Rated Up! Thank you Denise. I appreciate that. @Diane - I think the idea is beginning to take hold in a lot of neighborhoods. Thanks for your comments. 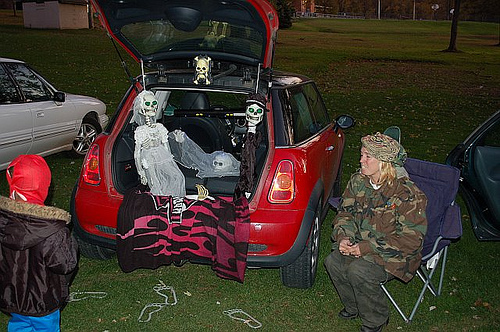 Trunk or treating is such a good idea, especially if you don't know the neighborhood that well. I have seen a few churches that do this around these parts as well. Nice Hub, thanks. Adorable photos of your grandkids! :) Wonderful hub. I hope soon! It really is a fun and safe time. Thanks The Loan Arranger. How long before this aspect catches on in the UK? Great hub.